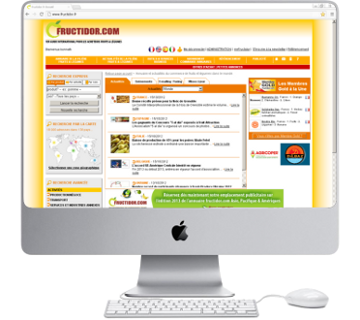 fructidor.com is the only reliable source of information and it is the best known. 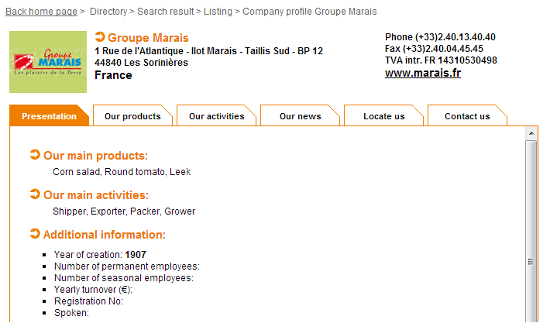 Moreover, fructidor.com is the only company to come every year at the MIN of Toulouse to update information. 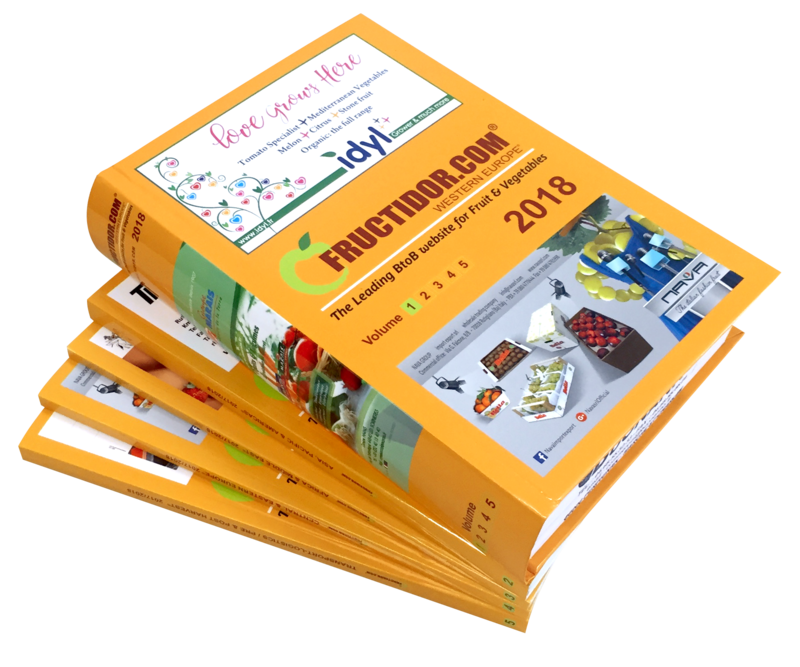 I buy the fructidor.com directories every 2 years. You wish to develop your business by registering your company with the Gold profile. 18,000 professionals in 138 countries. 240,000 searches made in 1 year. + Your classified ads for free. Access to 20,000 company profile from the fruit & vegetable sector in 138 countries: producers, exporters, importers, wholesalers, traders, buying groups, hypermarkets, transport & logistic, packaging specialists, pre & post harvest professionals. For each company, specific information that is updated daily on line. Access to advanced search engine: search by activity, product, country, type of production (organic or conventional), and certification. You have real time access to requests of potentials customers who are buyers of products or services. You can obtain their company information "on line". Your purchase offers are published on the 4 fructidor.com websites and on the weekly newsletter send to more than 20,000 professionals. Once the payment is made, you’ll receive your access code. Directories will be shipped by Colissimo within 72 hours after receipt of payment (*excluding weekends, public holidays and annual leave).